I think most of us older folks enjoy helping our adult kids out when we can. Sometimes it’s a little financial support every now and again, watching the grandkids when parents need a week-end getaway, or simply offering to do a favor to make their lives a bit easier. My daughter dropped the Toyota off early on the appointed day on her way to work and left the key on the kitchen table. I embarked on my journey a couple of hours later, assuming most vehicles are similar. After all, I haven’t seen one yet that doesn’t have a motor, steering wheel, gas and brake pedals and four tires, just to mention the basics. Little did I know the monumental differences between a 2004 Ford pick-up and a 2007 Toyota Camry. I was about five miles down the road when I noticed a light on the dashboard. Since I’m quite nearsighted, it appeared to me nothing more than a small illumination. It wasn’t red like a warning light, so I dismissed it as unimportant. The reason the vehicle needed to be taken in for repair was because the motor in the left rear power window had burned out. The cool temperature that cloudy morning had prompted me to keep the windows up, but as my journey progressed, the sun came out and the temperature climbed. When I reached a construction site that forced reduced speed, it was uncomfortably warm, so I opened my driver’s window. Once I returned to regular speed, I wanted the window shut again. Several attempts to accomplish this were met with failure. Before I knew it, I had all three working windows open and couldn’t figure out how to shut any of them. By the time I figured it out, I had arrived at the dealership. Andrea met me there and we enjoyed a nice lunch at our favorite restaurant, then killed a couple of hours at the mall. I had been told the project would take about three hours. When we returned to pick up the vehicle, I was informed the wrong part had been delivered and I would need to come back the next day. I wasn’t happy about the thought of wasting another whole day, but I had committed to get this done for my daughter. When leaving the dealership, I took a closer look at that little light on the dashboard that had remained illuminated for the entire trip. Close scrutiny revealed it was in the shape of a tiny gas tank. I had traveled close to a hundred miles with a warning that I was about out of gas! That would never happen in my pick up that eats a gallon of gas every eighteen miles on a good day if the wind is right. Finding the closest gas station, I pulled in and began the process of filling the tank. I was stopped short when I realized I didn’t know how to unlock the gas cap. I searched the dashboard, the glove compartment, and every other surface I could think of to try to locate a button, a lever, something that would release that cap. I even resorted to looking up the instructions in the book. I’m sure the information was there somewhere, but it eluded me. Totally frustrated, I went inside the convenience store and asked for their phone book so I could look up the number of the Toyota dealership. I sheepishly called and explained that I needed instructions on how to open the gas tank. I learned there is a lever on the floor located just in front of the driver’s seat. I returned the next day and faced the service department attendant with a very red face. He graciously waved my stupidity away. The next time I offer to drive someone else’s vehicle, I’ll be sure to learn the basics first, like how to feed the thing. Patti Shene is a retired RN, formerly from Long Island, who has resided in Colorado for the past forty years. She serves as Division Manager for YA and Children’s Imprints with Written World Communications (WWC). She also edits Starsongs, a publication of WWC written for kids by kids. As a writer who has entered her senior years, Patti also enjoys supporting, promoting, and encouraging older writers. 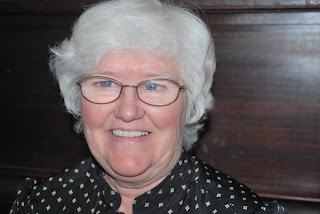 Patti is published in two anthologies and local publications. Visit Patti’s three blogs at her website, www.pattishene.com, and leave a comment to let her know you stopped by! Linda, thank you so much for inviting me to be a part of Geezer Guys and Gals. I am honored. I've returned rental cars and stopped at the gas station and looked like a DEA agent, going over the thing, searching for the gas tripper! On my Corvette, it's inside the glove box in the console. Who would look there? Most fun are the phone calls from my wife stranded in her Prius: Why doesn't my remote entry thingy work? Does my car have wheel locks? What's a wheel lock? ... and so on. But my favorite was renting a Volvo in San Francisco, intending to drive it to Seattle, and discovering somewhere in the middle of nowhere that all the controls and the user manual were written in Swedish. Not a good thing when you're looking for the windshield wipers. Oh, my goodness, I think the comments were funnier than the story! Thanks for stopping by Marilyn, Kevin, and Alan! I’m a Glutton for Punishment!